Army photograph by Spec. John Cress Jr. Soldiers from Alpha Troop, Regimental Engineer Squadron, 2nd Cavalry Regiment load dummy rounds onto an M139 Volcano mine system during Saber Junction 15, an exercise held in April 2015 at the U.S. Army’s Joint Multinational Readiness Center in Hohenfels, Germany. Systems like the Volcano require periodic attention to ensure that they do not become obsolete. 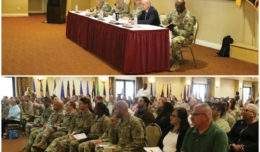 The Army has significantly increased its emphasis on training for combined arms maneuver and wide area security operations in contemporary and future operational environments. Large-scale operations frequently require a means of shaping large blocks of terrain–that is, enabling or restricting the movement of enemy forces through the employment of explosive ground-based munitions and other means. In the past, mines performed this function. Future operations will require more advanced munitions that are policy-compliant and much more capable than the “dumb” conventional mines they will replace. The increase in terrain-shaping system usage has resulted in a variety of sustainment challenges. Compounding these challenges are the age and landmine factors inherent in some legacy Family of Scatterable Mines systems. 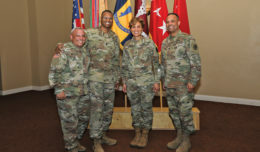 Collaborative efforts by the Project Manager, Close Combat Systems within the Program Executive Office for Ammunition; U.S. Army Armament Research, Development and Engineering Center; and U.S. Army TACOM Life Cycle Management Command have provided extensive and successful support to the user community to overcome these challenges. The effects of this support are visible at the proponency level, at the level of units in the field, and at combat training centers. Military forces use FASCAM systems to rapidly emplace terrain- shaping obstacles onto specific geographic locations with the intent of altering or ceasing the enemy’s movement in a manner desired by friendly forces, to gain tactical advantage. Multiple systems, both air and ground, exist to accomplish this goal. A Volcano system after refurbishment. While ARDEC took the lead on system and subsystem technical data packages to find replacement parts for obsolete components, TACOM developed a new refurbishment process to get aging systems up to speed. But existing policies surrounding mine systems present other challenges. Separately, many systems share a challenge with battery life-span and performance. 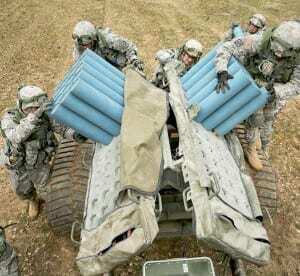 Many of the Army’s advanced munition capabilities are particularly dependent upon battery lifespan and reliability, as these munitions require dependable, constant and immediately available power, and they cannot be attached to external power. Many batteries in the legacy FASCAM munitions systems such as the Volcano are embedded within the individual munitions and are reaching or exceeding their design life. Since the munitions were designed with safety, reliability, performance and avoidance of tampering as key priorities, the batteries were placed in the munition. This leads to sustainment issues when unused munitions approach the end of their predicted shelf life. The Volcano system, shown here before refurbishment, is a mass scatterable mine delivery system that delivers mines by helicopter or ground vehicle. The age of such systems presents a variety of sustainment challenges, including battery life, changes in the air and ground vehicles that emplace them, and many others. While battery shelf life is a concern, it is not the sole failure mode for advanced munitions. Plastics and electronic components are also subject to deterioration over time. Potting material may lose its integrity and no longer provide the physical support required for high G-forces during launch and ground impact. From the electronic side, solder can break down and cause the growth of “tin whiskers” that can create unwanted paths for current to flow. Additionally, circuit boards can delaminate, breaking needed pathways for current flow. With the Volcano system, ARDEC began its support by reviewing the various system and subsystem technical data packages to identify modern replacements for the obsolete legacy components. 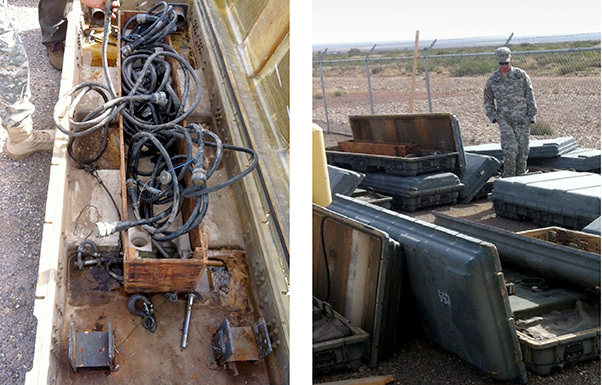 TACOM then developed a new repair-and-replacement process at its depot facility to refurbish the aging Volcano systems. TACOM proved out this program on a limited quantity of Volcano systems in fiscal year 2015, and is now planning to continue the sustainment work when funding is made available. Policy guidance also introduces legacy system sustainment challenges. There are both age and treaty compliance challenges inherent in most legacy FASCAM systems. U.S. landmine policy and two 2014 White House announcements on antipersonnel landmines ban the use of persistent landmines, which, if not removed or destroyed, can remain deadly indefinitely, and restrict the use of APL outside of the Korean Peninsula. The use of persistent landmines ended in 2010. Since that time, U.S. forces had only been allowed to employ self-destructing or self-deactivating APLs and antivehicle landmines. This left U.S. forces with two legacy area-denial system options for employment outside the Korean Peninsula: the M87A1 Volcano and the Remote Anti-Armor Mine. The current, available FASCAM systems lack “human-in-the-loop” control capability and scalable lethal and nonlethal effects. Additionally, current U.S. FASCAM systems are approaching or are beyond their original design life. To address this change, and to meet the war fighting requirements in unified land operations anywhere in the world, the joint force is developing rapidly emplaceable and treaty-compliant scatterable munition systems. 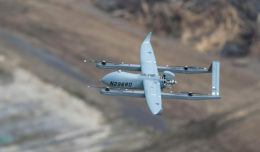 PM CCS is leading an effort, directed by the Office of the Secretary of Defense, to establish a program of record to develop an Ottawa Convention-compliant air-delivered, operator-controlled munition system that will provide both antivehicle and antipersonnel munitions and will replace the current GATOR system, with an initial operating capability goal by fiscal year 2025. Despite the various challenges faced with the resurgence and continued needs for the legacy weapon systems, PM CCS is aligned with the Army’s priority to use existing capabilities in new ways to provide increased lethality, survivability and overmatch to both the mounted and dismounted joint force in the close fight. The FASCAM replacement with human-in-the-loop initiated effect will ultimately provide the commander with the capability to prevent, shape and win in order to accomplish their mission and meet the needs of the 21st century operational environment.